Krypt Codes for 'Mortal Kombat: Armageddon' on the PlayStation 2 Console. 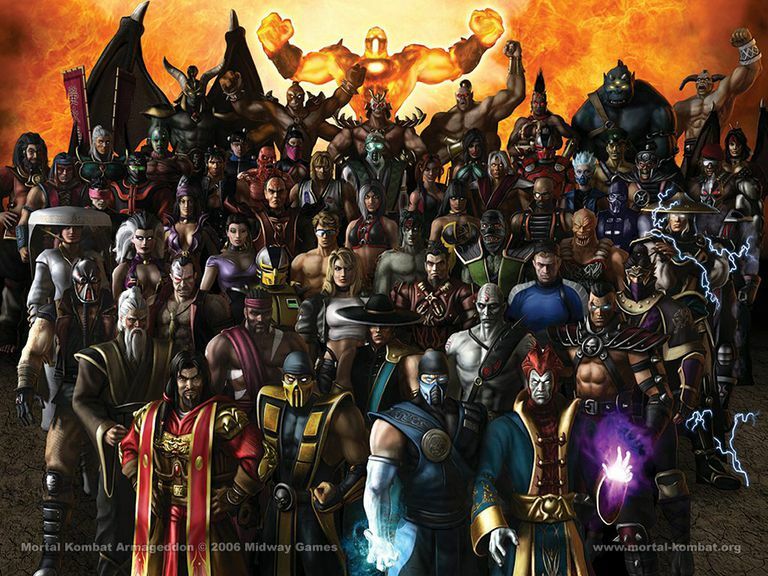 "Mortal Kombat Armageddon" is one of the first games in a series of titles that acted as a turning point for the fighting game series in North America. Released on Oct. 11, 2006, it's actually the 7th "Mortal Kombat" game in the main series and well worth your time to check out. Basically, it takes place in a world where "Mortal Kombat" contestants were becoming too strong for the entire universe to handle. This series of cheat codes are for the special Krypt mode in-game, where you can unlock special surprises here and there, including new characters, costumes, arenas, and more. A huge epic battle ended up determining the fate of the realms, which resulted in Raiden and Shao Kahn battling for victory, with Raiden losing to Shao Kahn. This meant a whole new set of characters would be added into the fold. You can also play with any previous character that was in the game before Armageddon as well as different versions of them. New characters Daegon and Taven were added to the fold, as well as Sareena and Meat. Some characters don't get their own choice of alternate costumes though, even though some like Chameleon, Meat, and Daegon get one special costume, many of which are unlocked via the Krypt. The Krypt basically looks like a set of catacombs, and there are special Koffins (coffins, obviously). You can see what they all contain before spending your hard-earned coins on them. You don't have to unlock specific items using only your coins, however. You can play Konquest mode to get them all, and there are 60 Relics for you to unlock everything in the game from the beginning. You can even make your own combatant in the Create a Fighter mode. This is in stark contrast to what's available in the new "Mortal Kombat X," where you can just outright purchase items with real-world cash if you don't want to wait to either unlock everything or use in-game currency to get it. The following codes are entered at the ? in the Krypt in "Mortal Kombat: Armageddon" on the PlayStation 2. Make sure you only enter them there, because if you go somewhere else and tap all these buttons chances are you're probably not going to get anything to work. Keep in mind these all correspond to both the face buttons on the front of the controller and those on the shoulders as well. We've got a treasure trove of additional codes for other games put together here via the Strategies node as well, so keep checking back for the best ways to fight off enemies in "Mortal Kombat," how to unlock your favorite characters, and everything you can do to get the best out of your game.